Every Thursday night for the last few years, I have been blessed to have the opportunity to play softball, a game I have always loved, with some of my best friends. It may not be in the field with the Cincinnati Reds like I dreamed as a kid, but I still smile at the fact that I can play 15 years after celebrating what I was told would be my last birthday. At 8-years-old, I learned that I would not survive without a liver transplant. At the time, I was too young to understand anything other than I was sick and couldn’t play baseball anymore, but this surgery would make me better. I spent two years on the waiting list before a family whom I had never met, in the midst of deep tragedy, decided to donate their son’s organs and save my life. 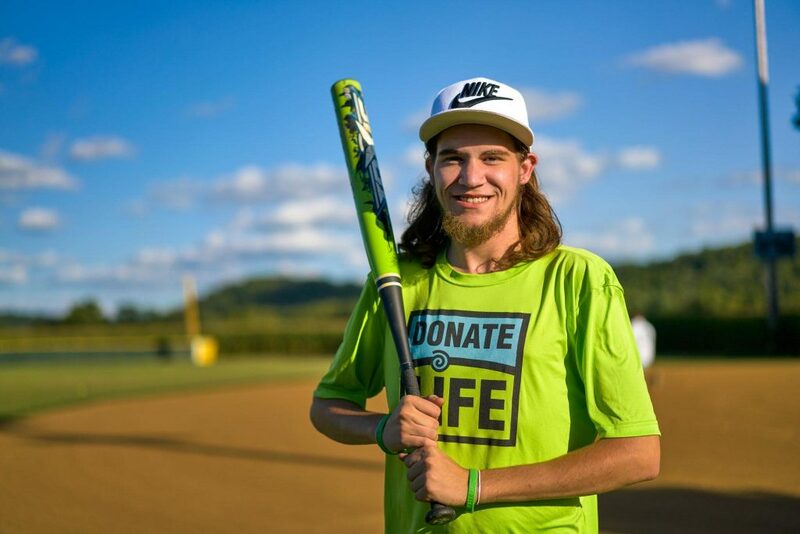 I have been blessed to play ball with a great group of guys who surprised me with our team jerseys that proudly showcase the “Donate Life” logo in hopes that we can spread the word and raise awareness that organ donors save lives. Win, lose, or tie, every week I smile because I know that I am here to play a game I love and it’s all because of the selfless act of that family. I never got to thank them in person but I will be thankful for them every day of my life.